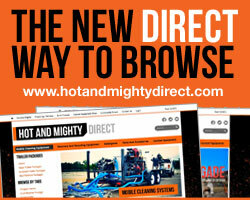 We offer a variety of wash water recovery devices and tools. 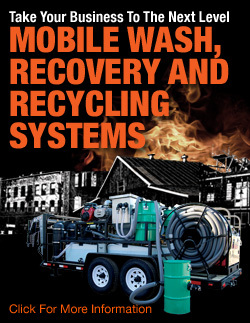 Are you looking for recovery vacuums or recycling equipment to be installed in your mobile wash trailer? 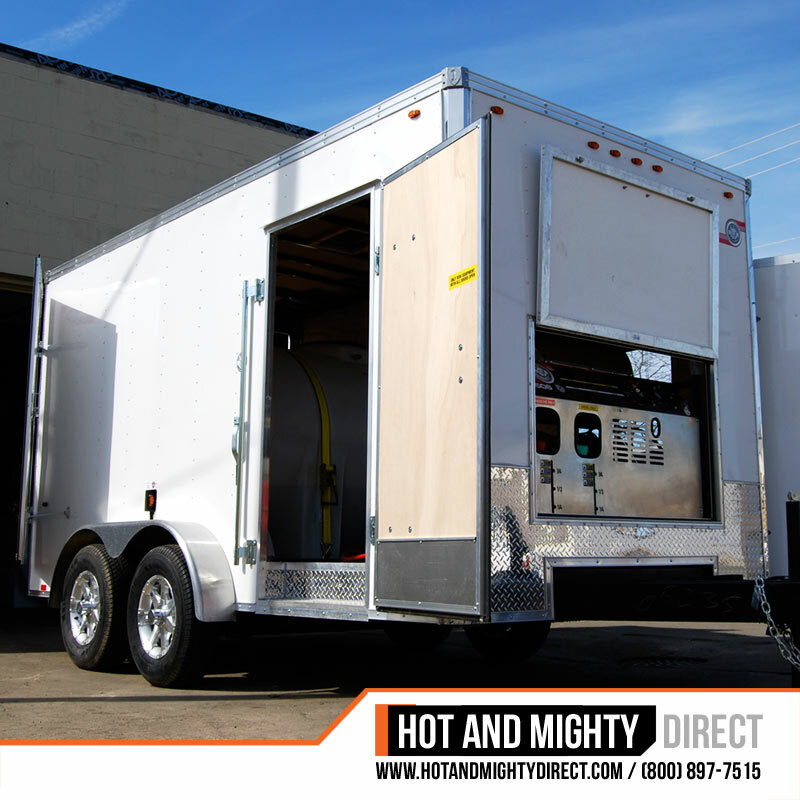 We can install our large industrial 450 CFM gas vacuum that can run two operator at 200 feet comfortably in your stand alone trailer or package it with a Hot And Mighty pressure washer unit. We also have specialty recovery tools that make surface cleaning and recovery of large areas a breeze. The Hot And Mighty standard recycling package. It's tough enough to handle your everyday workload. Our 150 gallon Oil Harvester separates your oils and solids from your water before the wash water is polished further through a multimedia filter and two 20 micron cartridge filters. The system is backwash able and comes with a back wash bag filter to collect the debris during the backwash process. 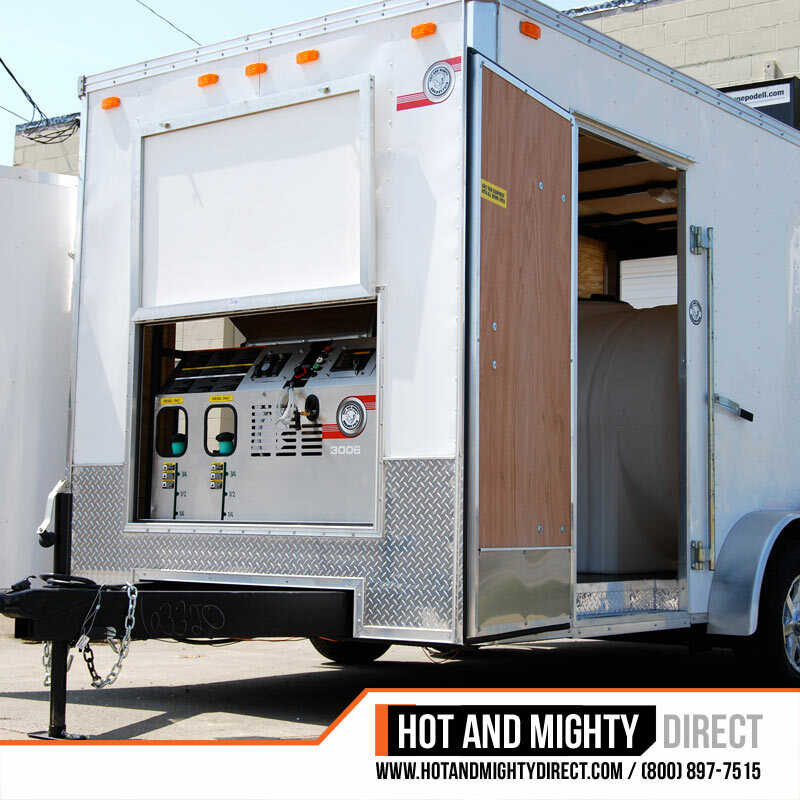 This system comes with low water shutoffs and flow meter reading capabilities for easy adjustment. Recycling finally makes sense. Please call for options and quotations. Recycling equipment requires 6,000 watt generator. This lighter recycling package is suitable for light dirt load recycling or can be used as a treatment system before discharge of your wash water into your local sanitary sewer. 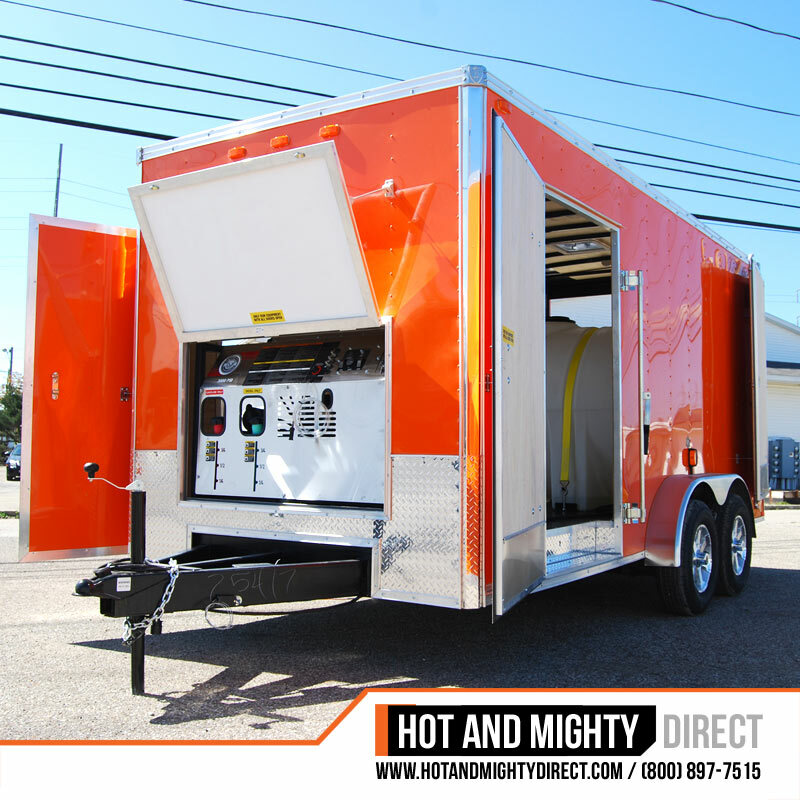 The system operates a 10 GPM flow rate. Utilizing a 35 gallon cyclone separator tank to remove suspended solids and passing your water through a backwash able multimedia filter and two 20 micron cartridge filters. We have been creating and installing recycling and filtration equipment for over 25 years. From in-plant, containment pad or mobile application we can design a complete recycling and waste management systems to meet your specific needs. 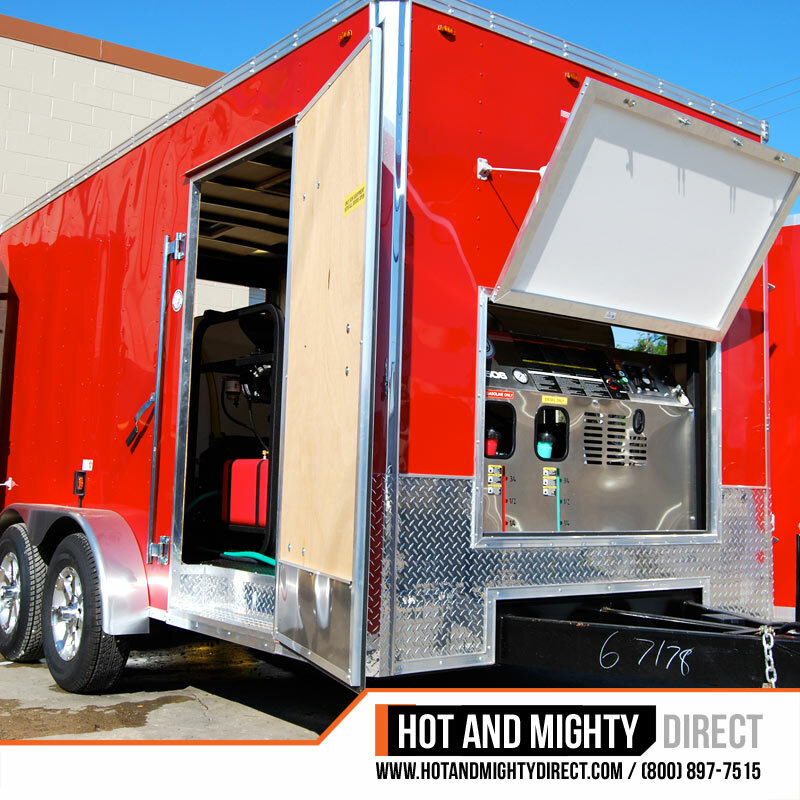 We Build Custom Equipment. Don't See Something You need? Ask!